Instagram has shaped the way creatives communicate. We can now instantly share our photography, blogs, products and services with likeminded people all around the world – without paying a cent. We can now attract a global community who lives and breathes what we do. But there is no point being on Instagram if you don’t know how to use it properly to grow your creative business. So, how do you create a likeminded community who loves what you do, and buys your products and services? How do you better share what you do? How do you create beautiful photos with words that matter that engage people to like and comment? How do you learn to be a great storyteller and create a loyal following? How do you blend who you are and what you do? How do you add value and give back to your community? As someone who has grown their community to over 60,000 engaged people on Instagram, I am excited to show you how, and more, in this practical, hands on workshop. I’m going to give you all my secrets and reveal the strategies successful creatives, bloggers and brands use to create beautiful content that attracts engagement and a huge following. I’ll show you how to better share your story and sell your products and services. I’ll share the tools successful you can use to add value and give back to your community. I’ll show you how to take better Instagram photos, with strategic captions and hashtags, and I’ll reveal the systems and processes I use so you can create a create social media workflow. I’ll also share my tips on how you can fight the Instagram algorithm, and how to use insights as well as Instagram Stories to help your creative business grow on Instagram. Students are encouraged to bring their laptop or a notebook and pen to write notes. Their happiness, positive and willingness to learn and share their experiences is a must. Students are also more than welcome to bring their business cards or products (if they have any) to share and seek feedback with other creatives around the class. Jaharn Quinn is the writer and photographer behind the popular travel blog, Mister Weekender. Born in Sydney and raised in Brisbane, Jaharn calls the Sunshine Coast in Australia home. Her career in marketing, social media and digital design has given her over twelve years’ experience working in London, Sydney and Brisbane. And she now owns a creative consultancy specialising in social media, branding and website design and development, called Your Creative Start. Her love for adventure and nature saw me travel at every opportunity. When she returned home to Australia after working in London for two years, she spent every weekend hiking a different trail, camping in the wilderness, and road tripping to somewhere new and unknown. Inspired by her adventures and armed with a suitcase full of experiences, she officially launched Mister Weekender in November 2013. Since the start of her blog, she has been able to work with tourism boards and travel brands, and been able to travel around Australia, Canada, Iceland, Morocco, Thailand, New Zealand, Vietnam, Peru, Japan, Sri Lanka, Dubai, United States, Bali, Maldives, Greece and more. She has worked with many brands including Qantas, Kathmandu, Microsoft, Skyscanner, Hilton, United Airlines, ASOS, Marriott, Trip Advisor, Virgin Australia, STA, Wotif.com and more. She’s also been featured in The Collective, Australian Traveller, Daily Mail Online, Cosmopolitan, Real Living, Get Lost, Qantas Travel Insider, Jetstar Magazine and multiple websites as an expert travel writer and photographer. 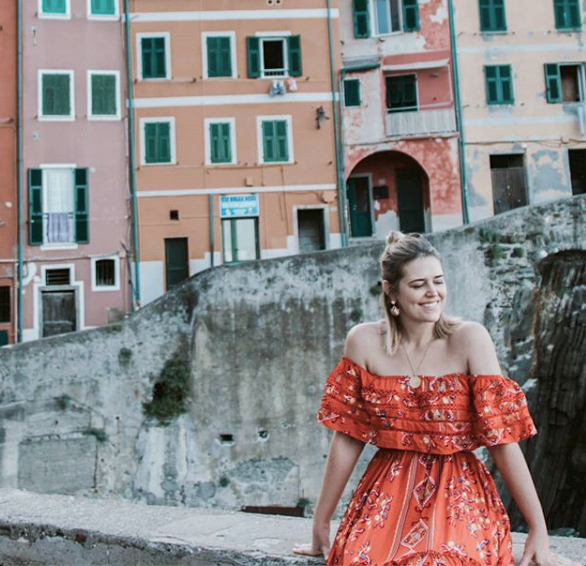 And she has seen her Instagram community grow to over 60,000 follower – follow her travels here at @misterweekender and be inspired to explore the world.